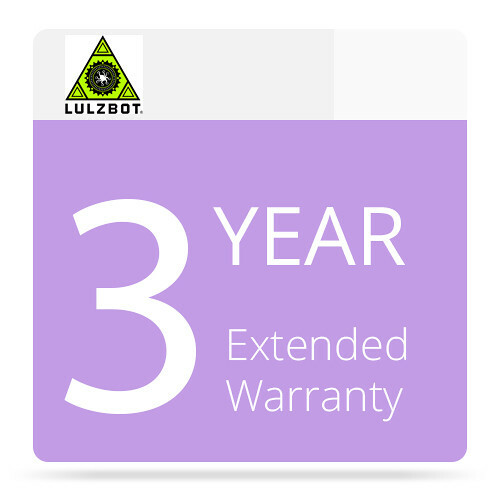 Extended the standard 1-year warranty and support period for your LulzBot TAZ 6 3D Printer by three years, for a total of four years of coverage using the 3-Year Extended Warranty from LulzBot. Parts and labor will be covered, and support is offered through email, over the phone, or through additional online methods. Please bear in mind that this extended warranty must be purchased within 30 days of your LulzBot TAZ purchase and extends the warranty from the purchase date of your printer.